Heading to Barcelona soon but not wanting to break the bank? 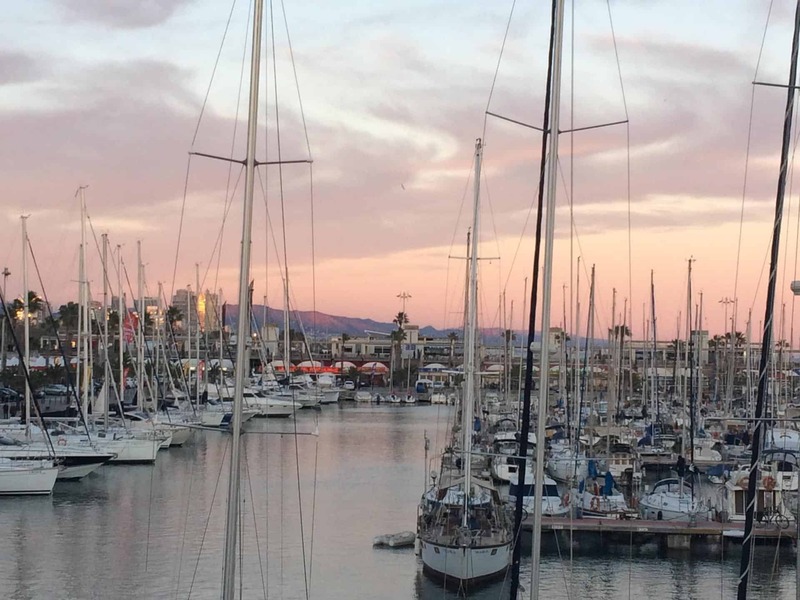 Thankfully, Barcelona is fairly inexpensive to start with, but here’s how to save money in Barcelona even if you’re on a shoestring budget. 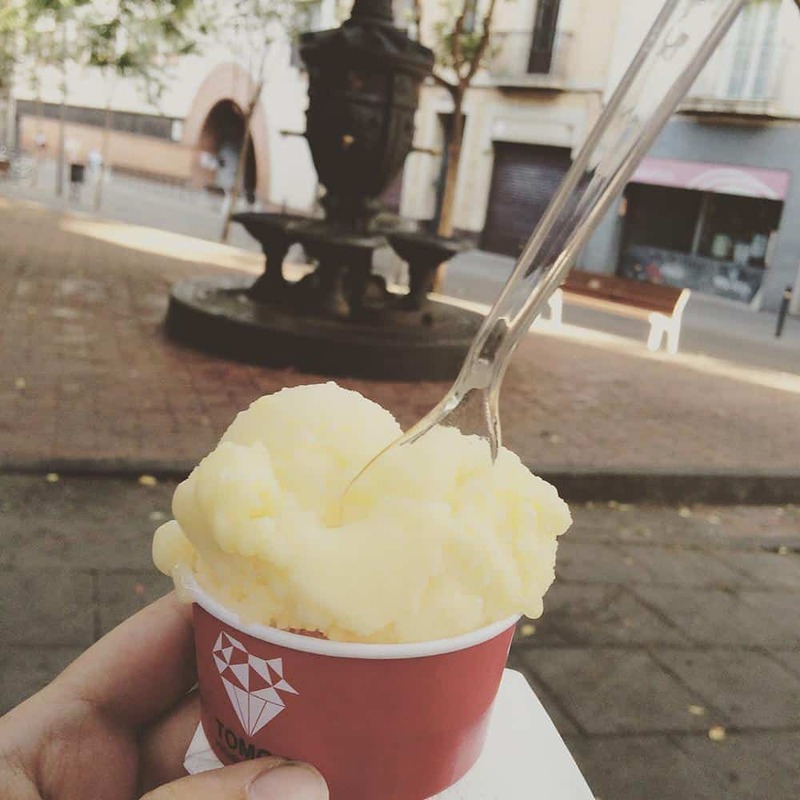 Here are my 17 best money-saving tips and free and cheap activities, from free views over the whole city and the sea beyond, to where to find a croissant for €1.50 to a perfect picnic for just a few Euros, how to get into some of the top museums for free and which attractions to skip. Plus a sneaky way to get into the city from the airport for under €1! Psst! 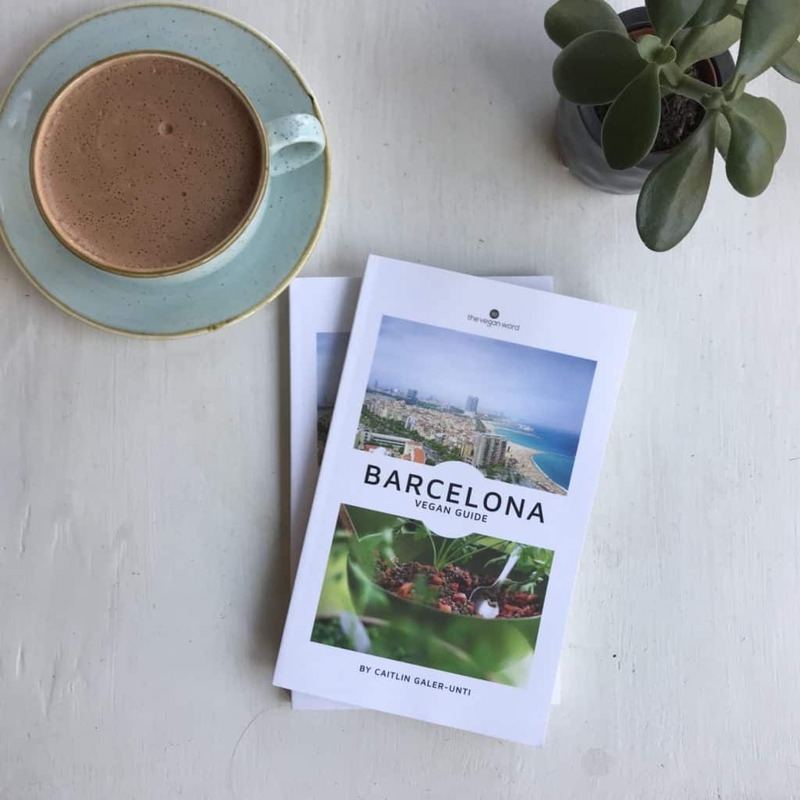 If you want to save even more money and be super-informed, check out my Barcelona Vegan Guidebook! Click here to find out more. So if you’re anything like me, you want to experience all the culinary delights of Barcelona. In many cities, the best option for eating out is to eat lunch out (and then make dinner if you’re renting somewhere with a kitchen). But in Barcelona it’s even better. Thanks to the menu del dia, you can try more delicious dishes at a lower price. Look for restaurants that offer a menu del dia option (menu of the day); a fixed-price lunch special often offering a main and a starter or dessert plus drink and usually totalling under 15 Euros. Bargain! My go-to favourite all over Europe, ‘free’ (not really free as they usually request a donation afterwards but you can donate according to your budget) walking tours are a great way to get to know a city’s layout, history and architecture at a bargain price. 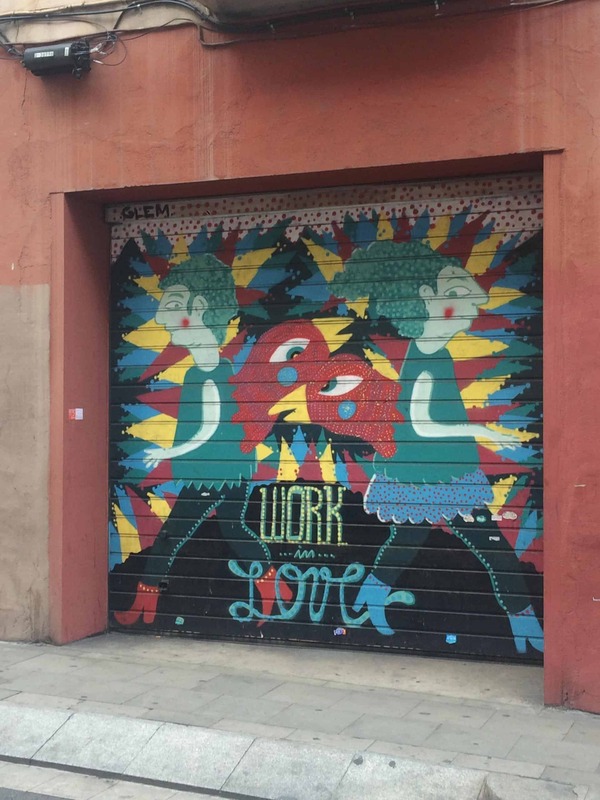 There are several companies to choose from plus depending on your interests, you can take in the Gothic Quarter, a Gaudi architectural tour or a street art tour (or all of the above!). Controversial advice, but…having seen the inside of the Sagrada Familia I don’t think it’s worth the 15 to 29 Euro admission if you’re on a budget. The exterior is at least as impressive as the interior if not more so, and you can see the outside for free! To view the exterior, you can walk from Placa Catalunya (2.1 km) in about half an hour, or get the metro to the Sagrada Familia metro station (L2, L5). The first Sunday of most months is free museum day in Barcelona, so if you’re visiting over the first weekend of the month take advantage (beware, queues are long so head out early). 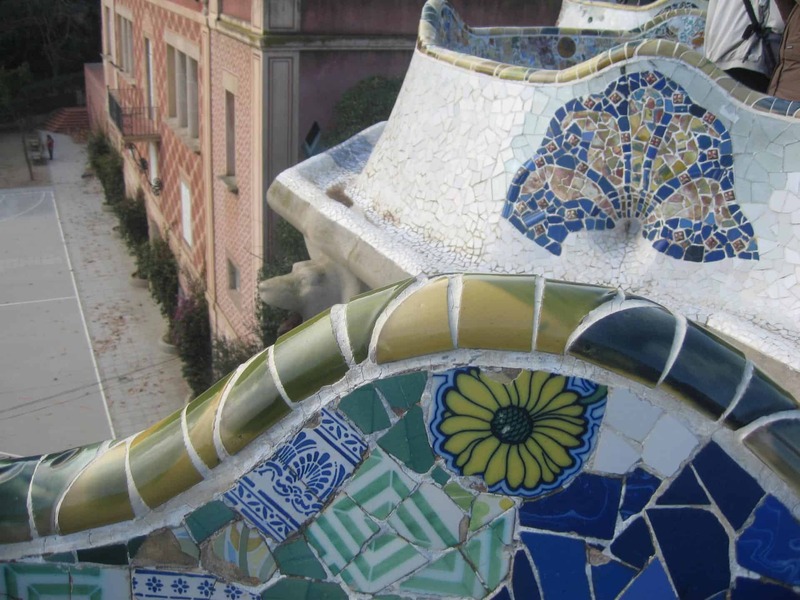 The Picasso Museum, Barcelona history museum, MNAC and CCCB are usually among the free ones. MNAC also offer free admissions Saturday from 3pm as well, and Picasso Museum on Sundays from 3pm. Another controversial statement here but…I wouldn’t pay to go into the Picasso Museum (I have done and regretted it). It’s simply not a big enough collection of the artist’s works to merit the ticket price. If you’re coming from New York, London or another city with great art museums, you’ll likely be underwhelmed. Sunny day? Do as the locals do and head down to the beach. While most locals prefer to head out of the city to cleaner beaches (e.g. beaches with less rubbish floating in the water! ), you can find a cleaner, less crowded beach at Poblenou, just outside the city centre (take the metro to Poblenou or walk there along the seafront if you’re up for a walk). Tourists flock to Barceloneta beach, the nearest beach to the city centre, meaning at the peak of summer you’ll find yourself fighting for a small strip of sand to lay your towel on. 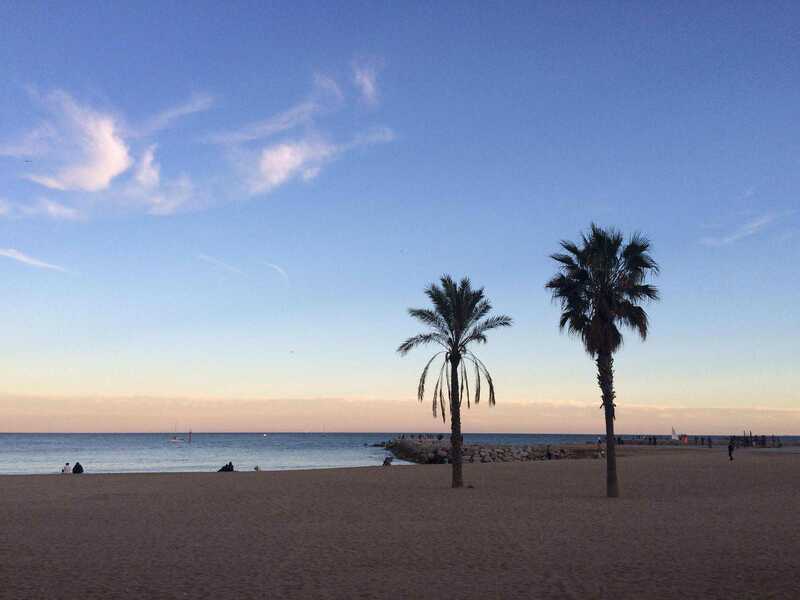 However, in winter, you’ll find the beach relatively peaceful, and if you want an even less crowded beach still close to the centre, Poblenou is your best bet. Whatever you do, never buy a single fare metro ticket unless you’re only going on the metro four or fewer times. A single ticket is €2.15, while €9.95 will get you a T10 ticket, valid for 10 journeys. Plus, the T10 can be shared between multiple people! So if you’re travelling with a partner or friend, you can share a T10 between you for five journeys. Barcelona is fairly compact so you can get to most places on foot but a few sights might require a journey on the metro. Take the RENFE train from Terminal 2 at the airport to Passeig de Gracia and then get the metro from there; it counts as just 1 journey on T10 ticket (see tip 6, above) as long as it’s under 1 hour and 15 mins. If you land at terminal 1, take the free shuttle bus from terminal 1 to 2. This is cheaper than taking the metro directly from the airport (you have to buy a special airport metro ticket that’s over €4 for a single fare. It’s also cheaper than the Aerobus. Remember how earlier I said I didn’t think the Sagrada Familia was worth the entry fee if you’re short on cash? Well, I do recommend shelling out for the 7 Euro entry fee for Park Guell if you can afford it. It’s worth it to see the inside of Gaudi’s masterpiece park and all the architectural delights in it, even if it’s a bit outside the city centre and there’s a cost to get in. Make the trip worth it by bringing a picnic along (you’re not allowed to have picnics in the ticketed/exhibition area of the park, so have your picnic in one of the other parts of the park). You can get some cheap deli dishes at Vegetart in Gracia (prices from €1.50; all vegan versions of Catalan favourites) and walk to Park Guell from there (around a 30-40 minute walk). Parc de la Ciutadella, Barceloneta beach and the WWII bunker are other great picnic spots. You can pick up inexpensive food at any of the markets around Barcelona (which sell local, seasonal fruit and veg, nuts, olives and sometimes they even have Middle Eastern stalls selling hummus and baba ghanoush). Ecocentre is the best vegan supermarket in terms of price, and you can get vegan sausages, cheese, chocolate and more here. –Vegetart: Queen of the inexpensive vegan scene is Vegetart, a takeaway only deli offering all vegan takes on Catalan classics. Expect award-winning Spanish potato omelette (tortilla) for just €1.50 a slice and portions of pasta, stew and cake for €2-4. -Croissants for breakfast: the best budget-friendly (and delicious!) 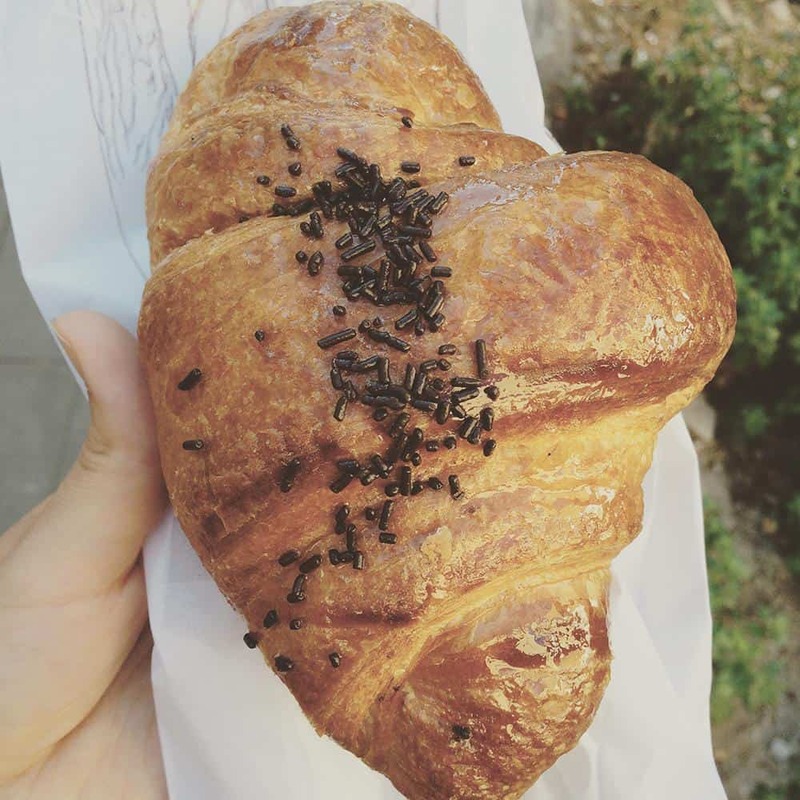 breakfast option is a vegan croissant from D’Monica (formerly Knella), Santa Clara or Santoni Cafe, which will only set you back €1.50 – 2.00. -Thali at Veggie Garden: long a favourite among budget-conscious plant eaters in Barcelona, Veggie Garden’s thali is a filling way to have a few different Indian curries, breads and a drink for under €10. Now with two locations (Carrer del Angels and Gran Via), so you can choose the most convenient. Splurge where it matters: spend money on meals that are worth the price but don’t pay a lot for subpar food. Avoid eating on Las Ramblas as most restaurants are aimed at tourists and overpriced. For my picks of the best restaurants and must-eat vegan dishes, check out my guide. Do as the locals do and have a drink al fresco in the evening. If you go to one of the many plazas in the city, in particular Placa del Sol in Gracia, you’ll find lots of locals sitting outside on a Friday or Saturday night, drinking beer from the supermarket or from the guys who sell cheap cans of beer here. Sometimes people bring guitars and spontaneous singing and dancing takes place. You could try housesitting or Couchsurfing for a free place to stay or choose one of the many hostels for a cheap place to stay. TwentyTu is an award-winning eco-friendly hostel with amenities like bicycle hire and a roof terrace. 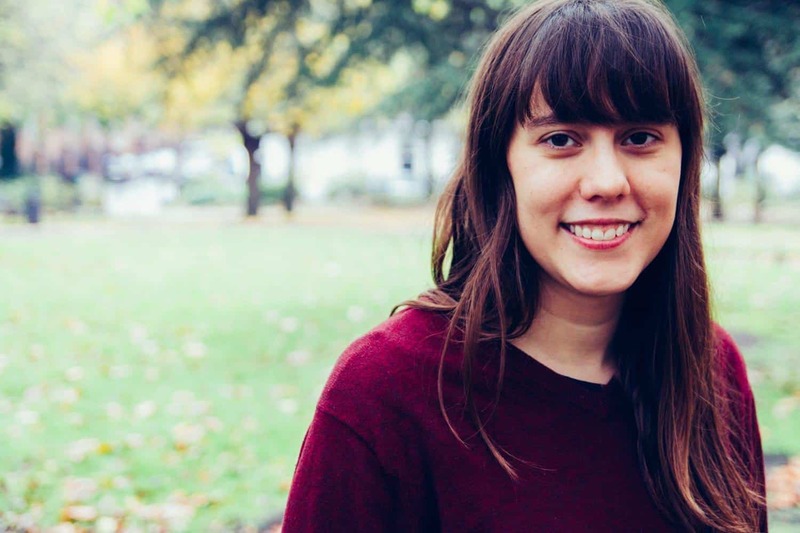 Even a stay in a vegan flat on VegVisits won’t break the bank (listings are usually around €40 per night for a stay in a shared vegetarian/vegan flat. 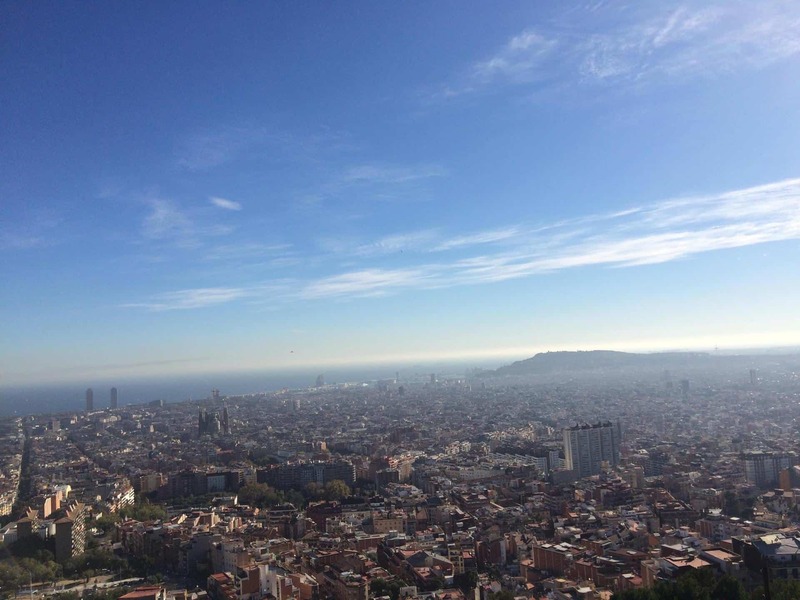 Click here to read my guide to Barcelona accommodation, including options for all price ranges. 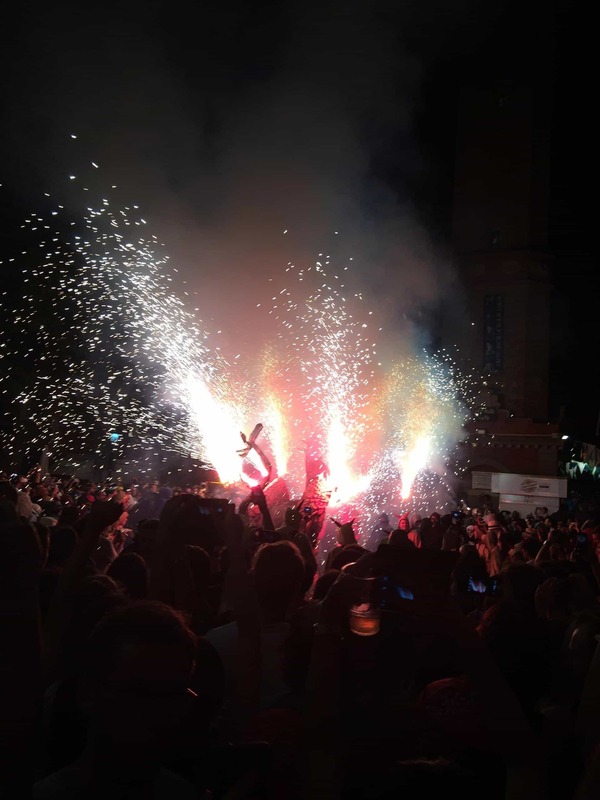 There are a ton of free festivals and events, particularly throughout the summer when each neighbourhood in Barcelona takes it more or less in turns to hold a local festival. If you’re heading to Barcelona over the summer find out what festival(s) are on during your visit. The biggest neighbourhood festival is Gracia festival in August, when individual streets in Gracia compete for who decorates their street best (usually using recycled goods – however you won’t believe some of the designs!). Then, there’s La Merce in September, the biggest festival. La Merce is a city-wide celebration of free concerts, castellers (human towers), gegants (papier mache ‘giants’ parading the street), correfocs (fire runs – feats of daring that involve people running under fireworks), and a pyro-musical at Montjuic fountains (synchronised fireworks, music and fountains). At Christmas, you’ll find a Christmas market, Three Kings parade and more. There’s a free light display at the fountains at Montjuic most weekends (Wednesday to Sunday during the summer and Thursday to Saturday rest of the year); times here. Flamenco might not be native to Barcelona (it’s from Seville) but a lot of people want to see flamenco while they’re in Spain. Don’t be taken in by the flyers you get for flamenco nights given out by punters on Las Ramblas. They’re trying to draw tourists in and they charge tourist prices. Instead, opt for a flamenco night at Jazz Si. It’s a tiny little bar that puts on some great flamenco shows every Friday & Saturday at 8:45pm for just €10, which includes entry plus a voucher for a drink (or possibly 2 drinks, I can’t remember…either way it means your ticket probably works out to more like €5). Arrive early to get a seat, otherwise you may end up standing at the back. Instead of paying for the fancy bar at the top of the W hotel, or for the cable car up Montjuic, take a hike up to the top of Montjuic or to the WWII bunker and get a view out over the whole city. Bonus! Save even more money with my new book, the Vegan Barcelona Guide! Download your free sample now. Please note, this post contains affiliate links, meaning I'll receive a small commission if you make a purchase through them, at no extra cost to you. Thanks for your support! Yay, can’t wait to read your book when it comes out!! And happy to see that I’ve managed to accomplish most of these in my visits to Barcelona, except the vegan ones since I haven’t been there since becoming vegan (vegetarian, but that was easy). Can’t wait to eat all the croissants next time I go back! Though wow, I had no idea Parc Guell was 7 euros to enter now. Last I heard it was 5, and when I went to Barcelona for the first time in 2012 it was free! BTW – totally agree with you about the Sagrada Familia and all the Gaudi houses…they’re wayyyy too expensive to get in. I also tell people not to bother and just walk around the outside. It’s also too crazy crowded! Who doesn’t love Barcelona? And who doesn’t love a bit of Barcelona without hurting their wallet? You made me want to get on a plane, and eat my way around the gorgeous city. There are some places I could go back to time and time again and Barca is one of them. Your thoughts on the Picasso museum are spot on! I was just in Barcelona last month and was greatly underwhelmed by the museum. One of my friends from college is a Barcelona native and took me to the best tapas restaurant — La Bodegueta. It was so good, I went back the next night! It’s right off of Passeig de Gracia. Yeah, it’s a shame about the Picasso Museum, far too many spend their time and money there when it could be better spent elsewhere.